We finally had a warm week over here in Idaho! The thought that spring might actually be here has me very excited - I am READY for the sun to come out and warm me up! 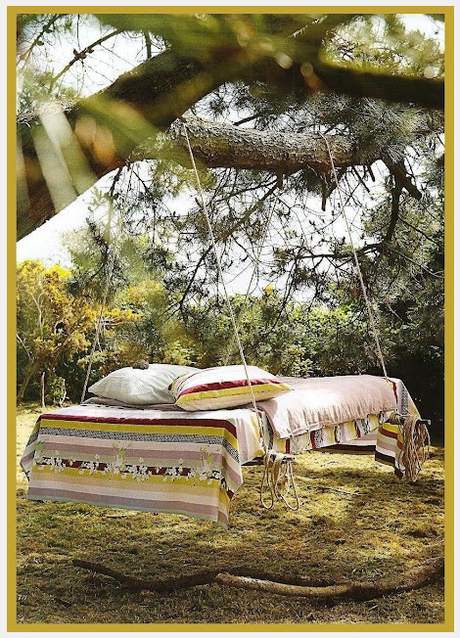 With all the sunshine, I decided to write a post on beautiful outdoor decor to get us in the mood for this coming season. 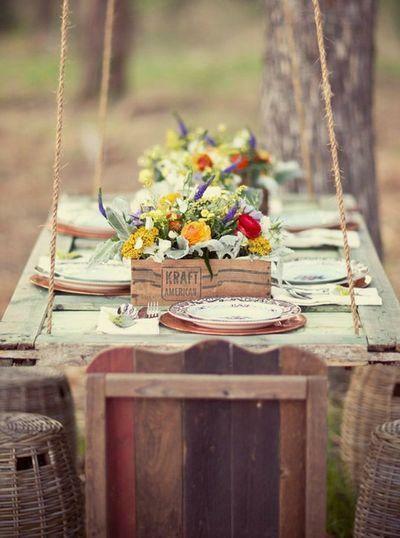 What do you think about this gorgeous hanging table! Isn't that beautiful! 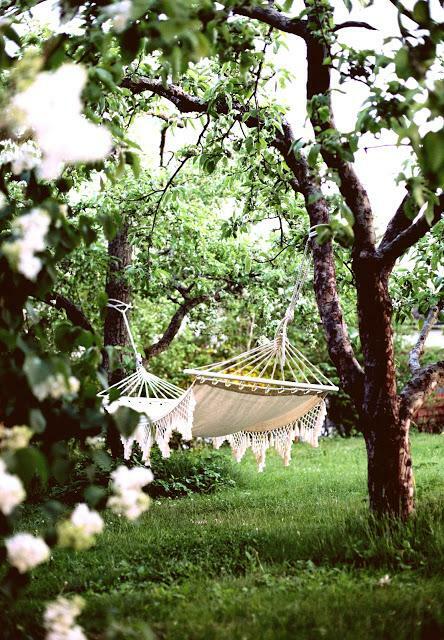 Or how about spending some time outdoors relaxing in a white shabby chic hammock. 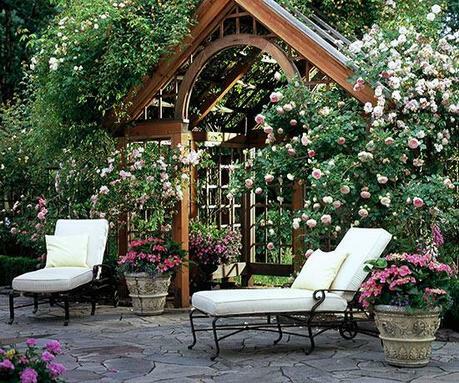 Both of the pictures below have lovely climbing roses. 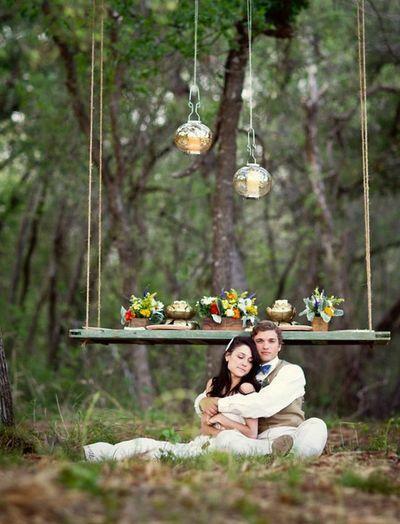 I still need to figure out what I should grow on my own pergola! 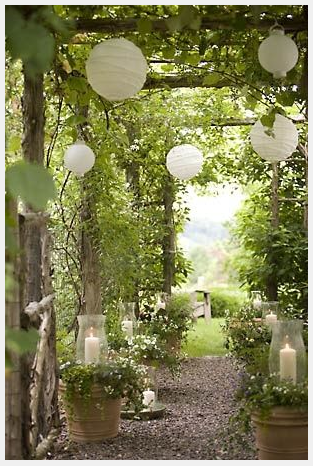 I love how paper lanterns can add a magical touch to any outdoor space! The landscape below is so inviting and relaxing. 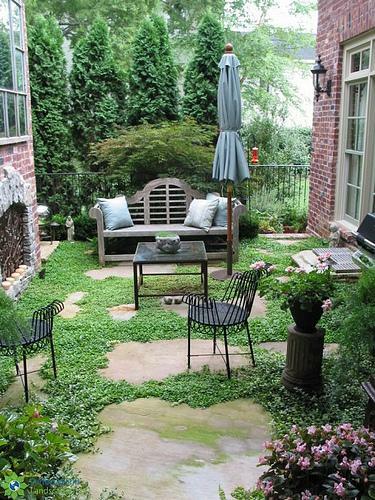 Even if your home doesn't have a big outdoor area you can turn it into a cozy little courtyard full of character. This couple placed large flagstone on the ground and let Mazus fill in around it. 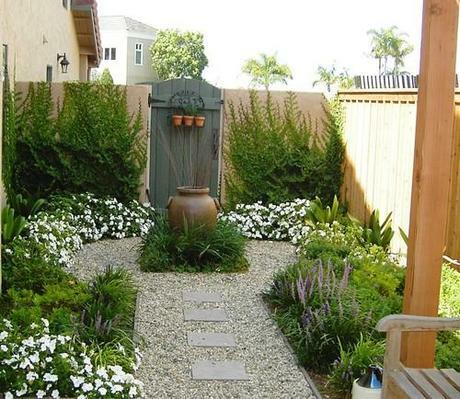 Here is another small backyard......Such a charming area. 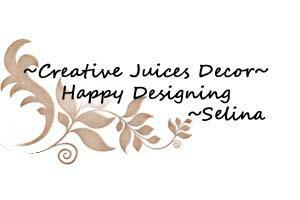 Enjoy the inspiration my friends!! I am actually pleased to glance at this weblog posts which carries lots of valuable data, thanks for providing these kinds of data. 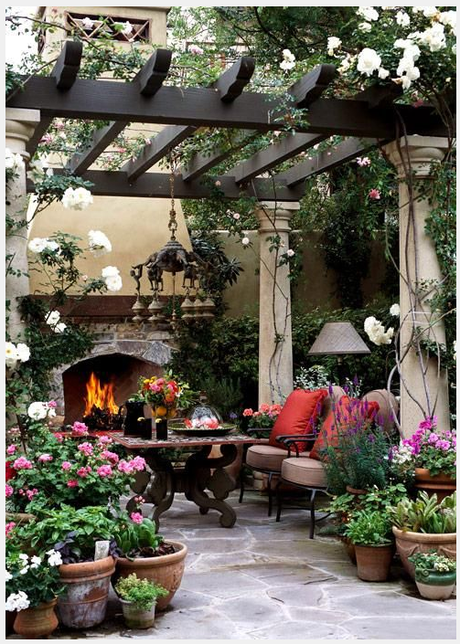 Inspirational Covered Porches with Fireplaces.